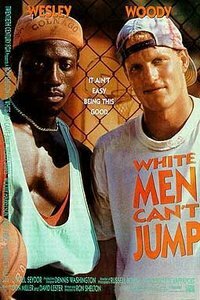 White Men Can't Jump is a 1992 American sports comedy film written and directed by Ron Shelton, which stars Wesley Snipes and Woody Harrelson as streetball hustlers. The film was released in the United States on March 27 1992 by 20th Century Fox. This webpage uses material from the Wikipedia article "White_Men_Can%27t_Jump" and is licensed under the GNU Free Documentation License. Reality TV World is not responsible for any errors or omissions the Wikipedia article may contain.